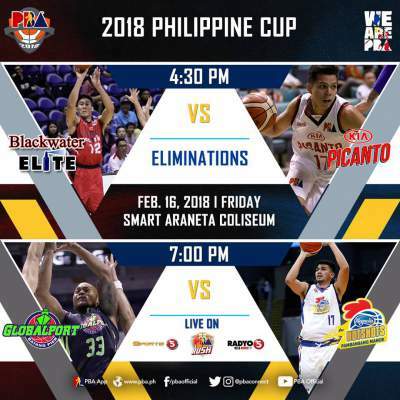 Here is the details for Globalport Batang Pier vs. Magnolia Hotshots in the elimination round of 2018 PBA Philippine Cup. Rome dela Rosa scored 18 points and the Magnolia Hotshots held on for a 96-81 victory over the Globalport Batang Pier. Five more players from Magnolia scored in double digits to secure their seventh win of the converence. Kelly Nabong scored a game-high 21 points, had 11 rebounds Globalport while Sean Anthony had also double-double with 12 points and 11 rebounds. Watch the highlights of the Magnolia Hotshots 96-81 win over the Globalport Batang Pier on February 16.